On January 21, we commemorate the life and legacy of Dr. Martin Luther King, Jr., an iconic civil rights leader who would’ve been 90 this year. Long after his assassination, Dr. King’s message of equality, justice, and peace continue to inform contemporary social movements fighting for the rights of marginalized communities across the country. 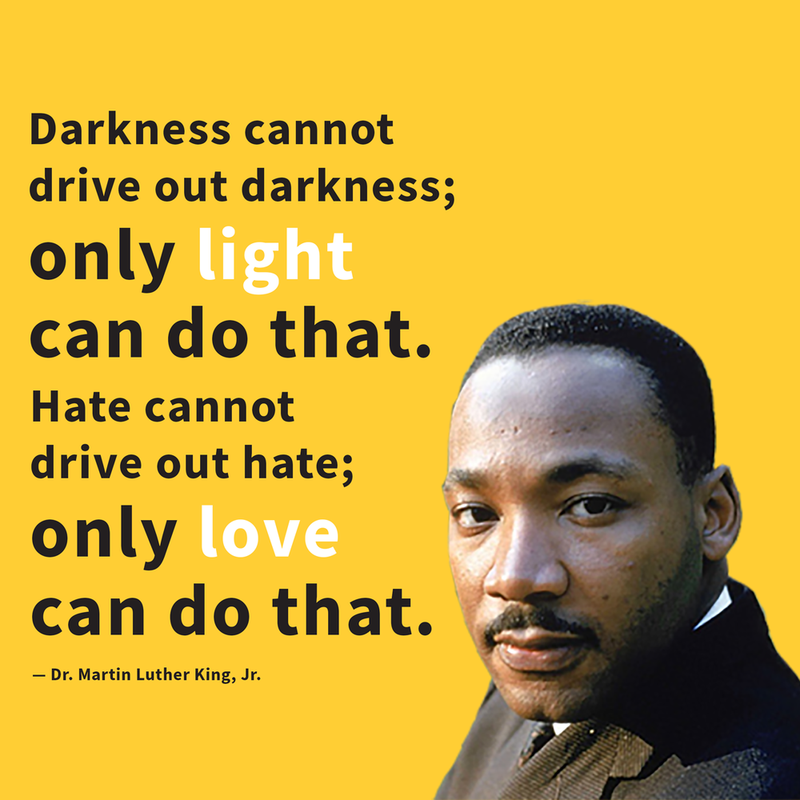 As we honor Dr. King, we look to the values we can uphold in our work in the field of mental health. By emphasizing inclusion, respect, participation, and collaboration within the communities we serve, we can bring to light the hopes and dreams where recovery thrives. By welcoming diversity, we gain insight and perspectives that lead to something greater—an environment where every person is treated with dignity and respect. We want to thank all Telecare staff for their work in creating an inclusive, welcoming environment at our programs, and their support for our clients and each other to make a positive change in the communities we serve. Martin Luther King Jr. Day, the third Monday of January, is marked as a National Day of Service, and the Corporation for National & Community Service has many volunteer opportunities for people to continue to promote Dr. King’s messages in their communities. Visit the links below for more information.